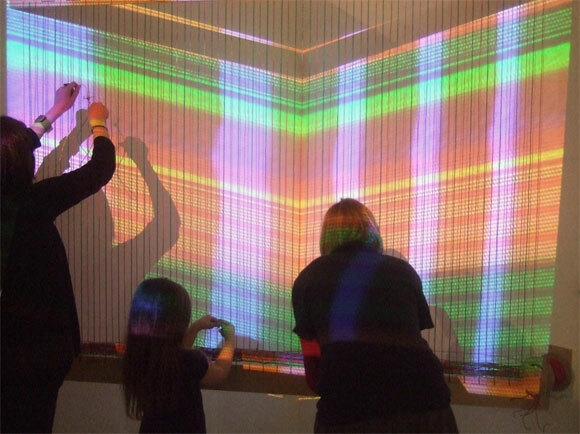 In NetWork, the ancient craft of weaving is combined with contemporary video engineering. 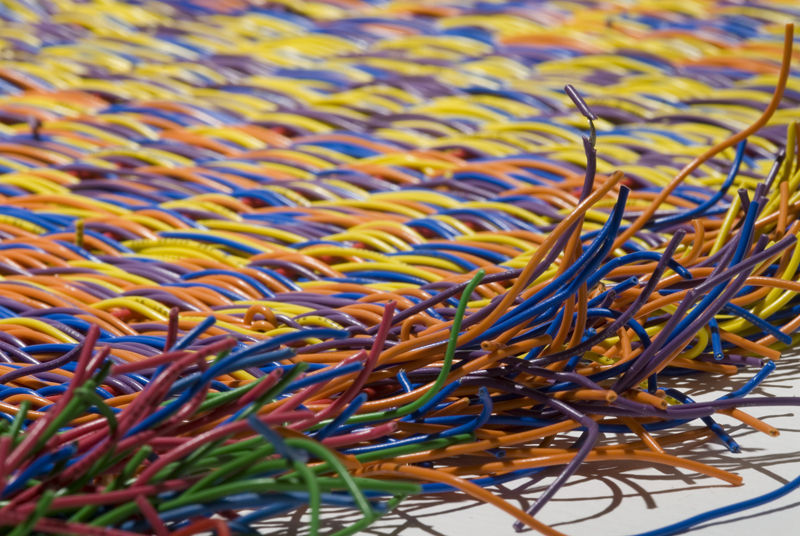 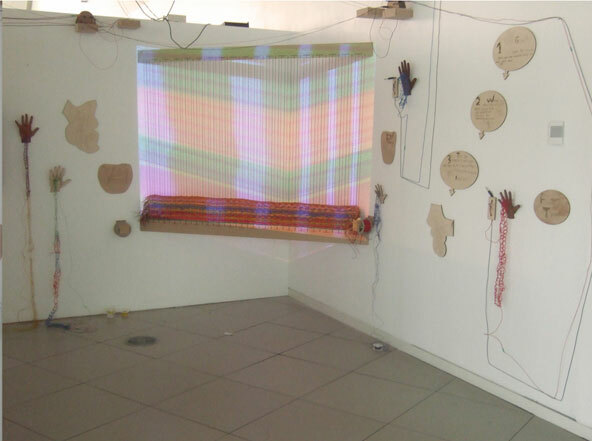 The installation includes participatory weaving elements using electric wires. 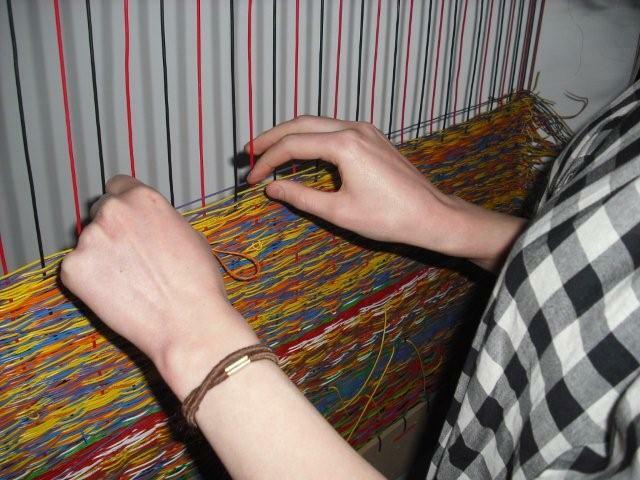 These same wires also conduct live video from LoVid's handmade synthesizer. 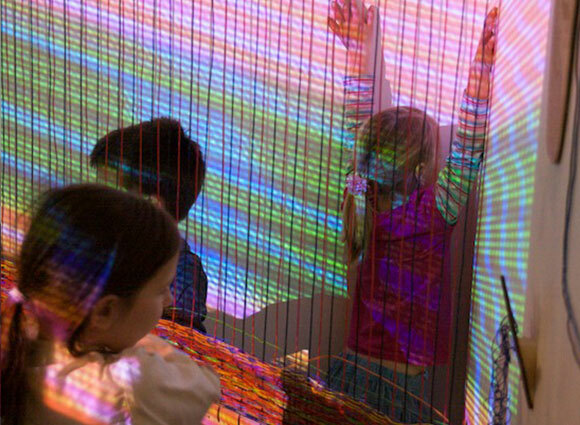 The combination of weaving and live electrical signal represents human touch and attention throughout the passage of time. 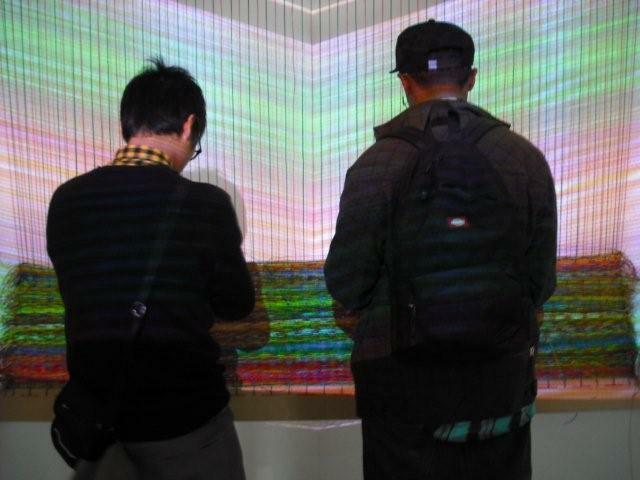 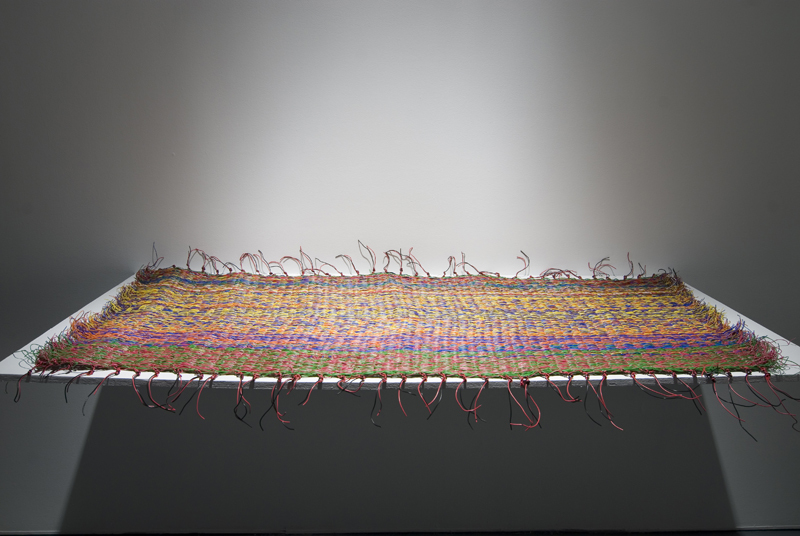 During the time of the exhibition the woven elements grew through visitors participation and developed to be preserved as an object of recorded time and gesture.